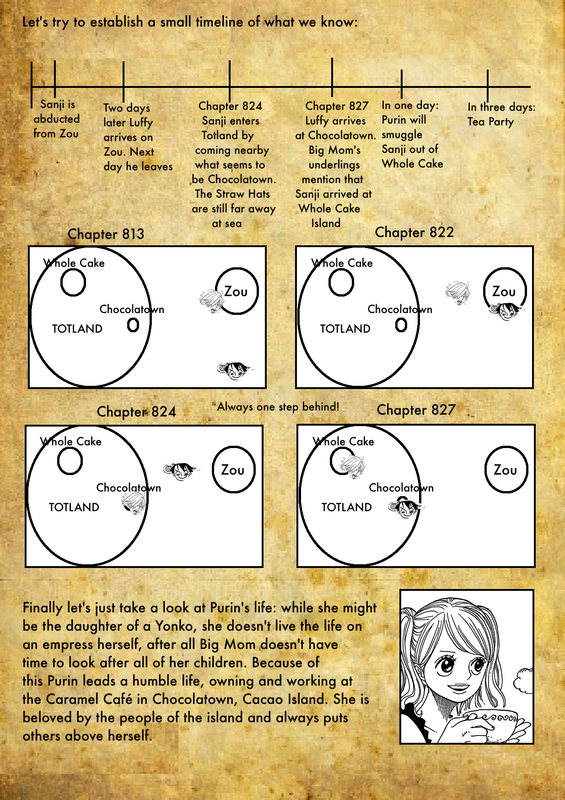 Chapter Secrets Special 10 – Purin, friend or foe? If I were Phoenix Wright Carrot would totally be Maya! 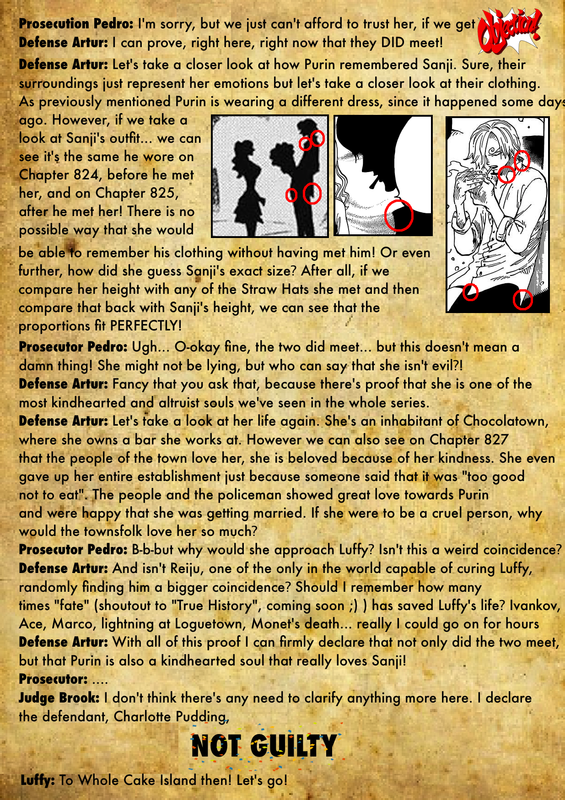 Now don’t get me wrong, maybe this is just a massive number of mistakes by Oda (he tends to make a lot of mistakes), but as it stands, with the evidence we have, it’s impossible they didn’t meet and it’s impossible that she is evil. 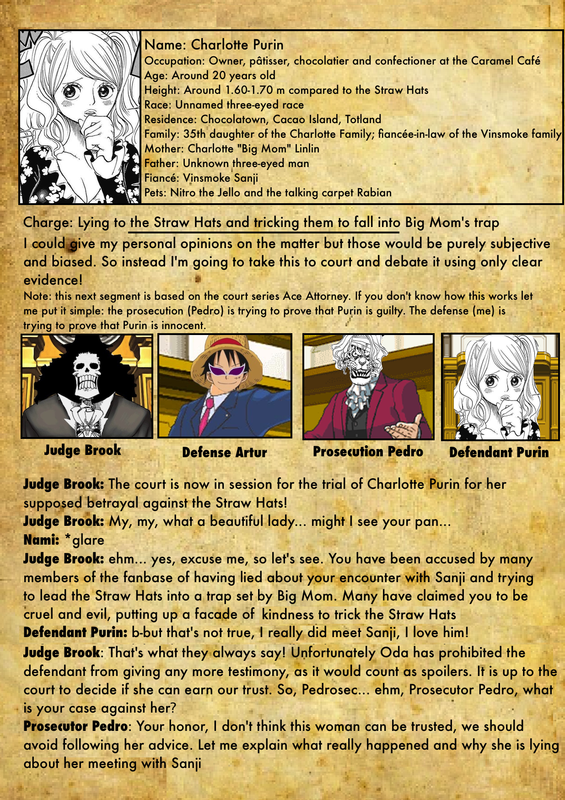 Maybe Oda screwed up, maybe there’s something we don’t know, but as it stands, for now, she is innocent. Nicely done! 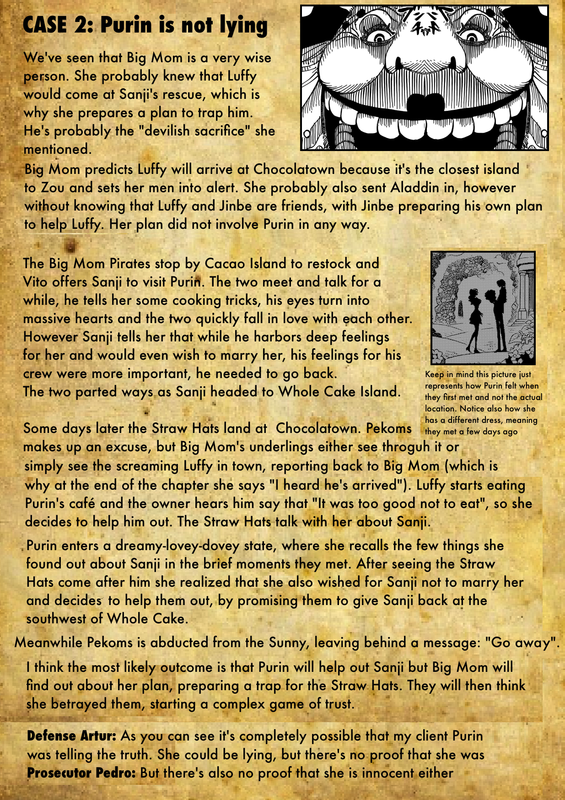 Good catch on the outfit Sanji was wearing! 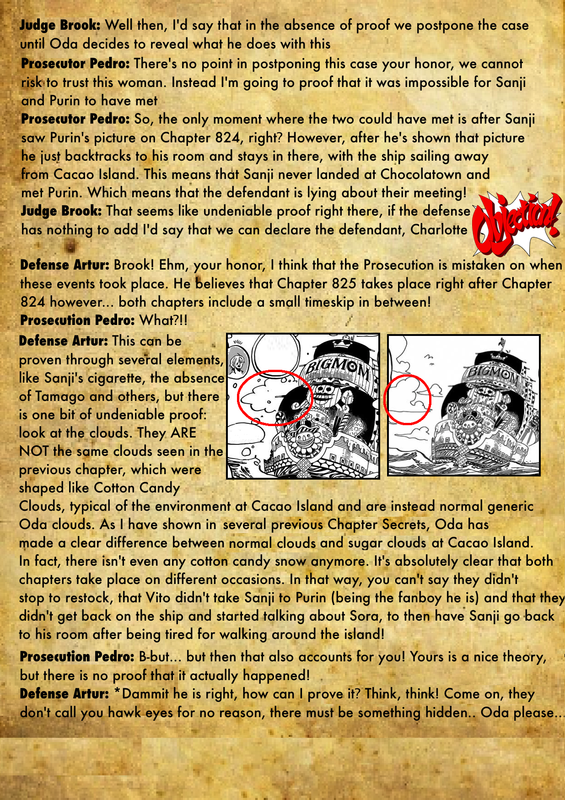 I’m still not fully convinced, because there’s always the possibility that Oda simply kept those details to keep the illusion. 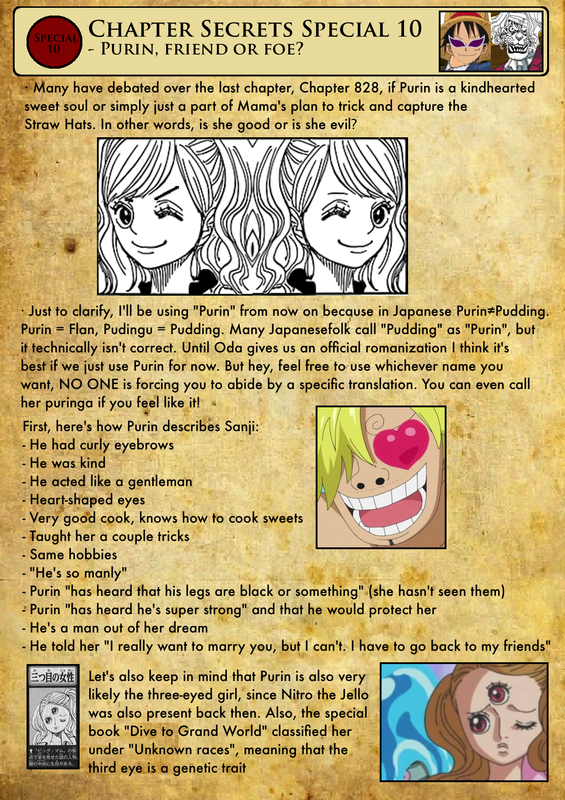 But I don’t think Purin lying makes her evil. 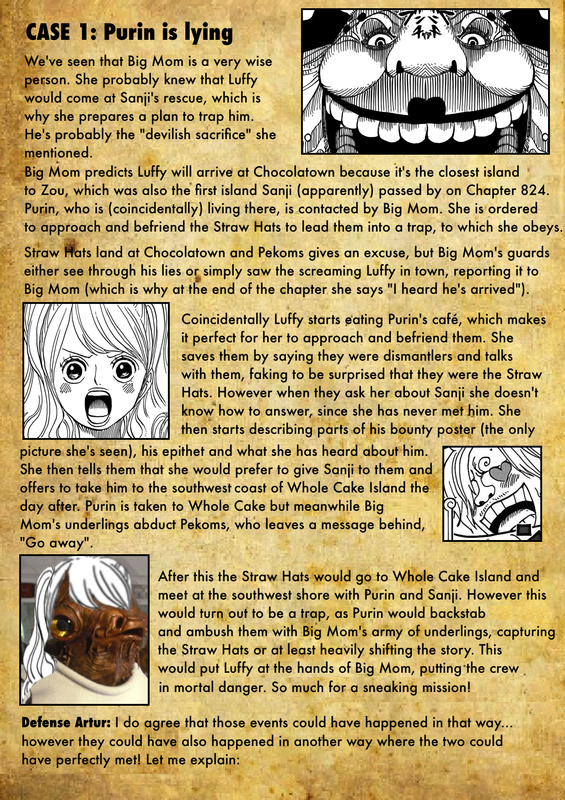 She could always be lying in protest, because she’s been trained to never disobey Big Mom. So even if she doesn’t like it, she doesn’t know what else to do.